At Ashbrook Roofing, we’ve been in the business of supplying roofing materials for more than 30 years – so we know what it takes to get the job done. That’s why we stock high-quality lead underlay. 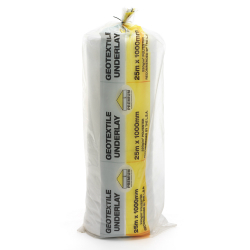 Lead underlay is designed to prevent lead covering, whether that be lead flashing or lead slate, from buckling and splitting. The underlay acts as a barrier between the exterior lead and the timbers of the roof structure, allowing the lead to move freely. Using an underlay also encourages air circulation, to reduce moisture and condensation. Why not take a look at our selection of roof tile vents and slate vents? Like lead underlay, these products are designed to increase ventilation in the roof. Releasing excess moisture is an important element of roof design, as it reduces the risk of damp and rot in the insulation and timbers of the roof. Make your purchase today from Ashbrook Roofing. We’re a leading lead underlay supplier with a wealth of experience and knowledge. In fact, we’re more than happy to share our knowledge as free and impartial advice. Contact us now for help, advice and product support.